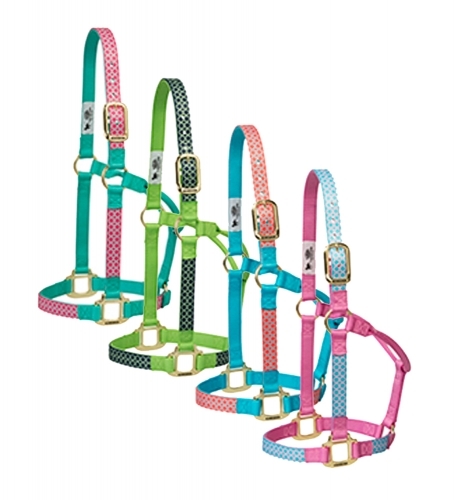 Weaver Leather Quatrefoil Patterned Non-Adjustable Halter, Fashionable patterned webbing pairs with coordinating solid webbing to give these vibrant nylon halters lots of style. Starting with top quality nylon, we add special details like oblong buckle holes, box stitching at stress points, heat-sealed edges, and comfortable rolled throat for the ultimate in performance and value. 1" average horse size halters.